We certainly have a good news for the Samsung mobile fans as the company has decided to introduce a first Galaxy series smartphone with Infinity O Hole Punch display. Samsung Pakistan has followed the heels of a recently introduced teaser of Honor View 20 teaser, in which phone is also showing Infinity O Hole display. 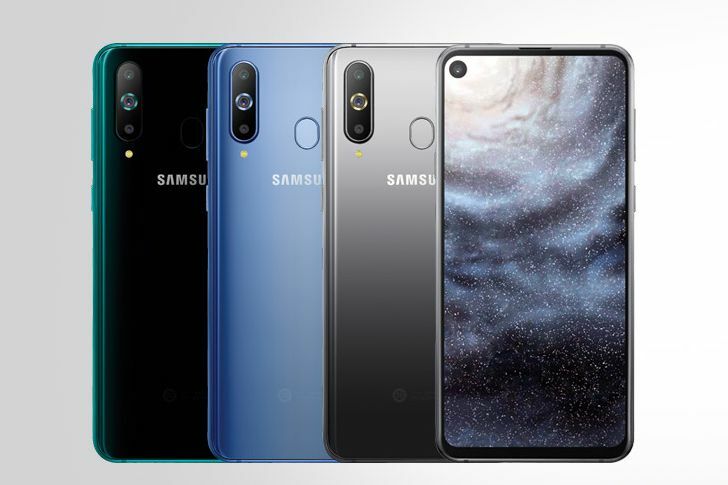 The company is going to introduce Samsung A8s with the new feature Infinity “hole-punch” design for the phone’s front selfie camera which is located at the top left of the display. The company has recently said it is planning to debut new features in its midrange mobile phones after being defeated by its Chinese rivals. Samsung Galaxy A8s is certainly the best option for the company. Samsung Galaxy A8s price in Pakistan is yet to be officially confirmed by the Samsung Pakistan officials, but as per the rumors in the mobile phone industry it is expected to be available at a price tag of Rs.50,000. It will be featuring a 6.4-inch capacitive touchscreen display with a screen resolution of 2340x1080 pixels. Under the hood, you will get to see a Snapdragon 710 chipset with an Octa-core processor which will be coupled with 6/8GB RAM. It will be coming with an internal storage capacity of 128GB which the user will also have the option to expand up to 512GB via microSD card. At the rear, it is expected to feature a triple camera set up just like we recently seen in Samsung Galaxy A7. At the front, you get to see 24MP front selfie shooter sensor which is placed in the hole-punch design. If we say 2018 was the year of mobile phones display coming with notch display, then we can certainly say that 2019 will be the year when mobile phones will be coming with the hole-punch design. Well, now we have to wait and see what will be in the box by different mobile phone manufacturers. The preorders of Samsung Galaxy A8s is expected to start from 21st December 2018.